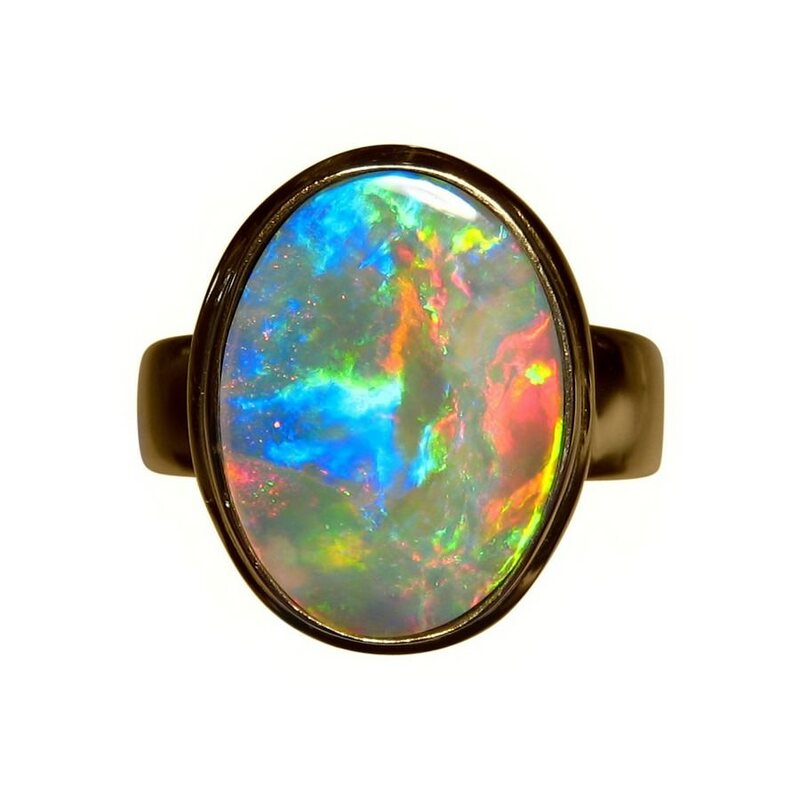 A big Opal ring in 14k Gold with a Red and Blue oval Australian Opal. 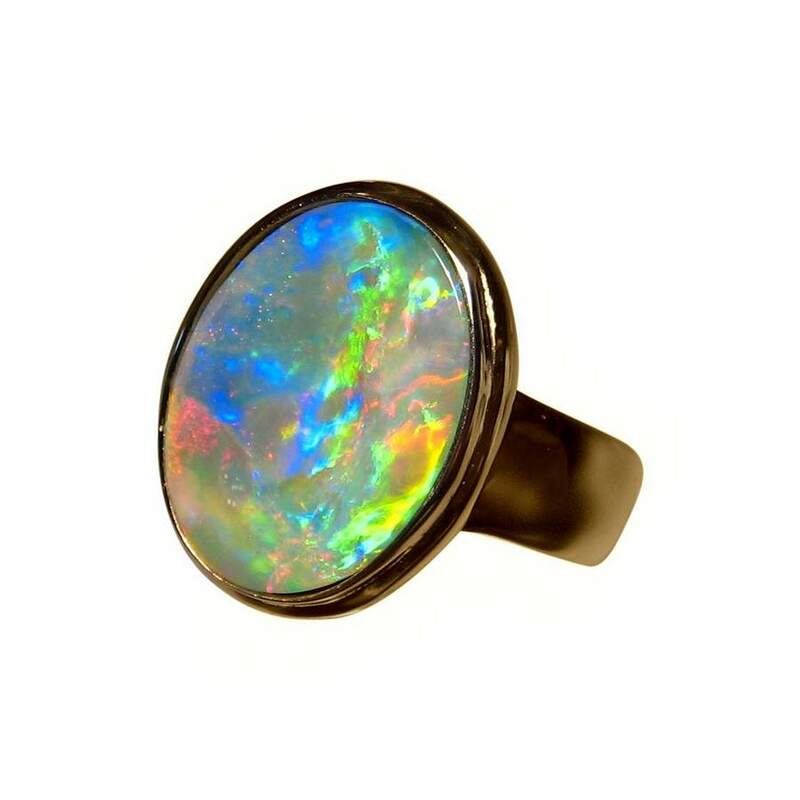 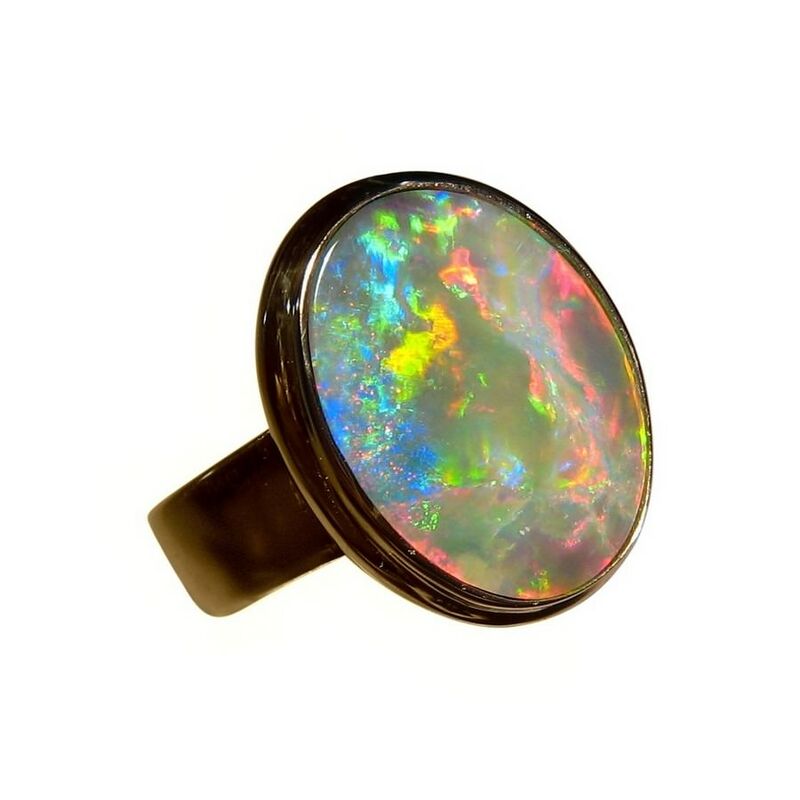 A big Opal ring with an oval Lightning Ridge Crystal Opal inlaid in a wide band 14k Gold ring. 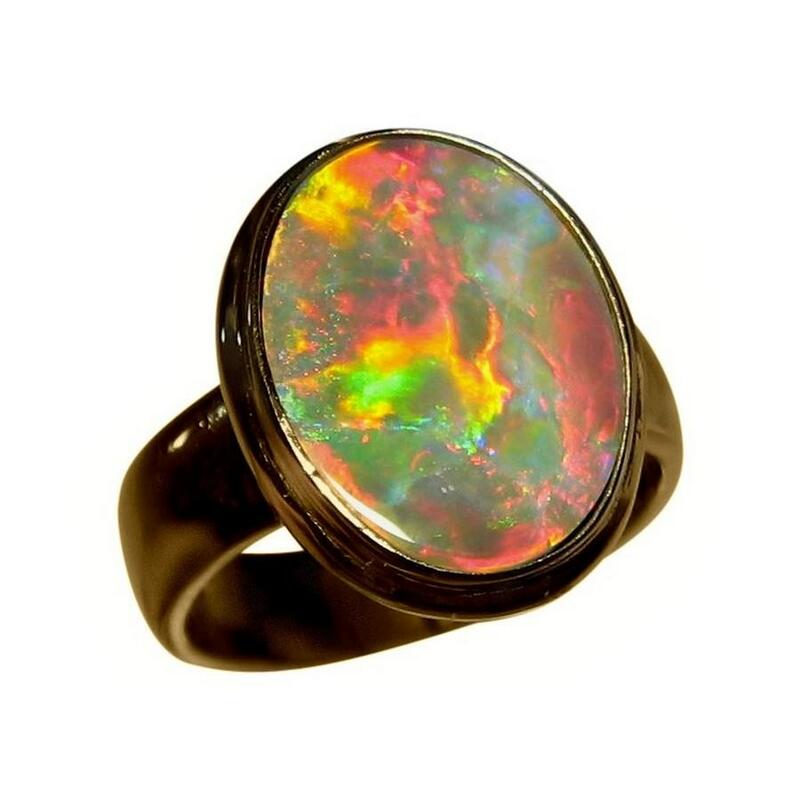 The Opal weighs 2.5 carats and displays Red and Blue in a Flame play of color which the video below will show better than the images. 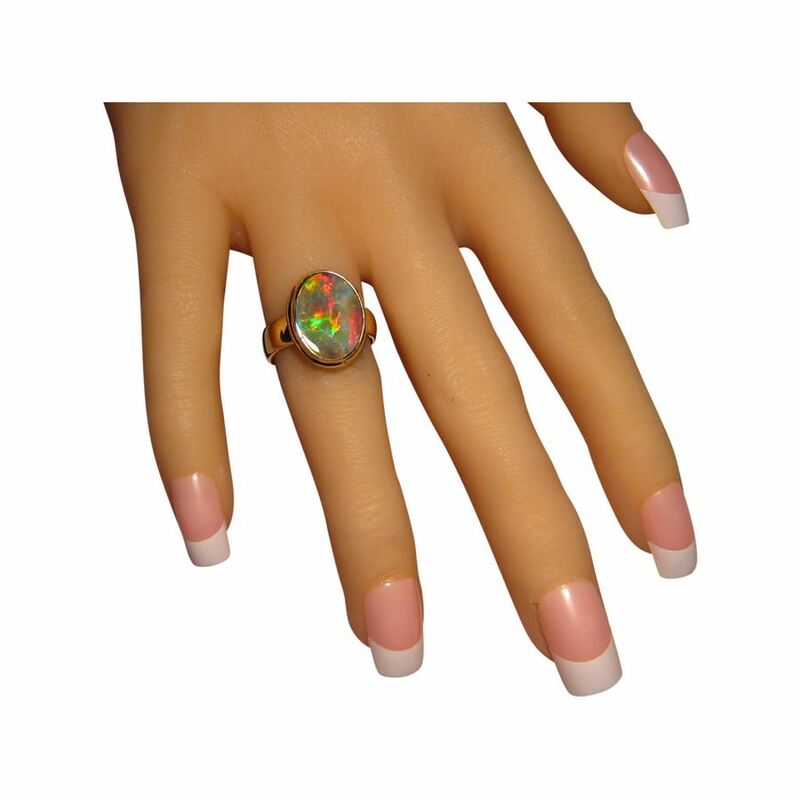 An impressive Opal ring on the hand that is ready to ship as detailed below or will take about one week for any other ring size or Gold color.